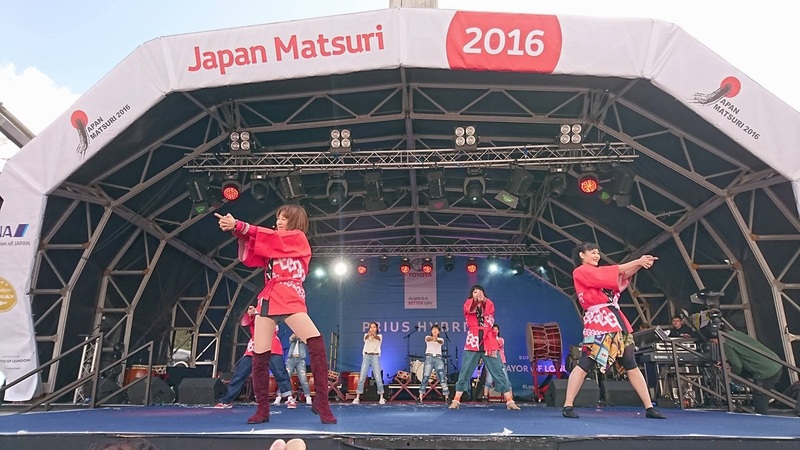 Get ready to dance to the Japan Matsuri Song “IBUKI” with UK-based Japanese singer Suzuki Naomi! This year’s dancers were selected from the general public. See if you can spot your friend on stage! 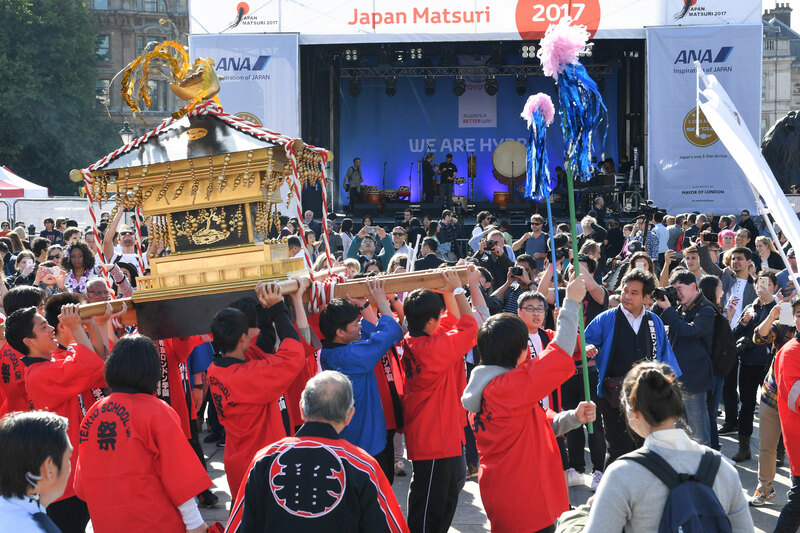 Look out for the mikoshi, a portable shrine topped with a phoenix, which will be ceremonially carried around the square. 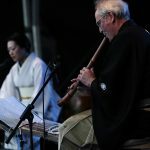 Listen out for the impassioned cries of ‘Washoi! 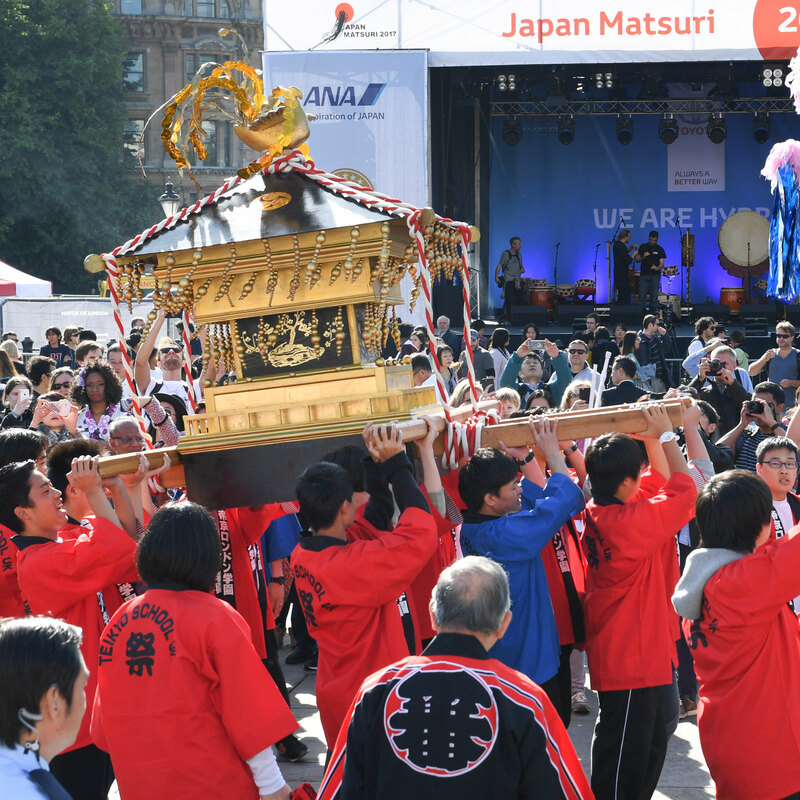 Washoi!’ – a phrase intrinsically linked with the with the carrying of a mikoshi. 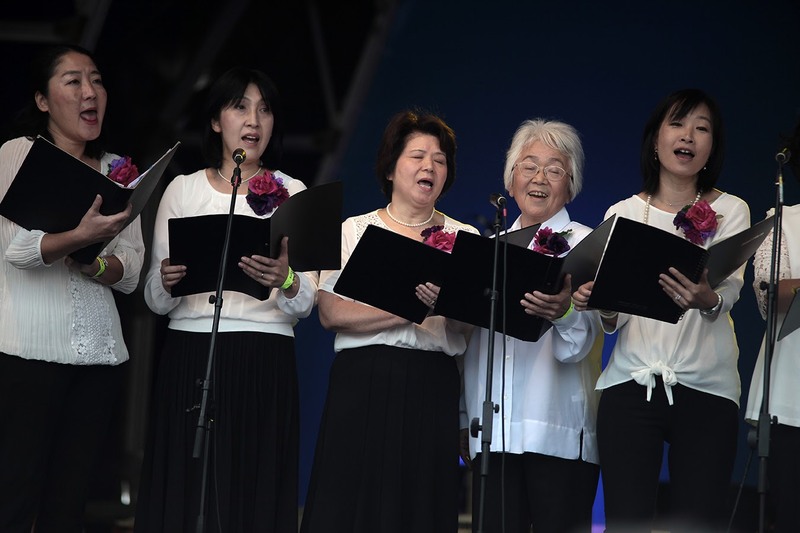 For forty years, Japanese Women’s Choir The Green Chorus has performed in churches, festivals and memorial concerts all over London; and more recently in remembrance of the 2011 Great East Japan Earthquake. New members are always very welcome. Yosakoi London “Temuzu” is an amateur dance group. 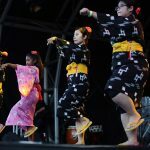 It was founded in 2016 by three London individuals, who discovered and fell in love with the energetic yosakoi dance whilst living in Japan. 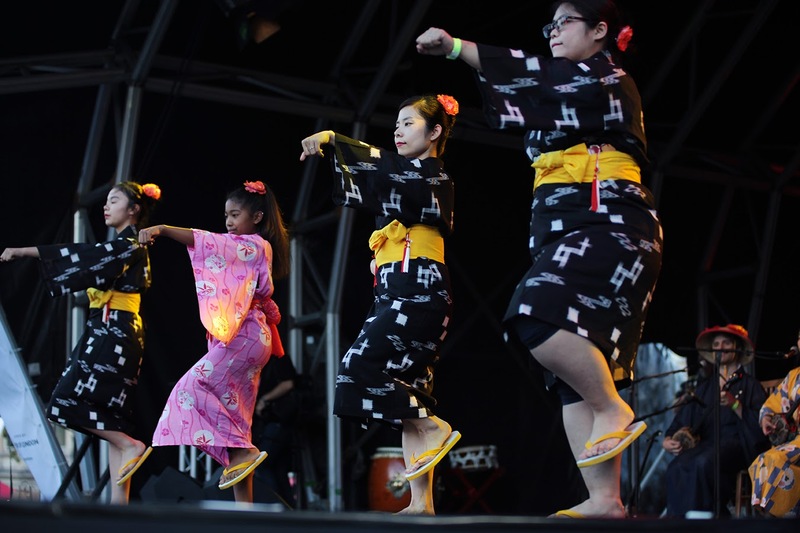 They decided to bring yosakoi back on their return and share the joy of this fun Japanese dance with the UK. They are always on the lookout for new members! 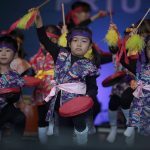 Firm favourites at Japan Matsuri, the children, aged 2 to 6 years old, (and parents) of the London Japanese Cultural Nursery School perform the Eisa dance of Okinawa; with miniature drums! 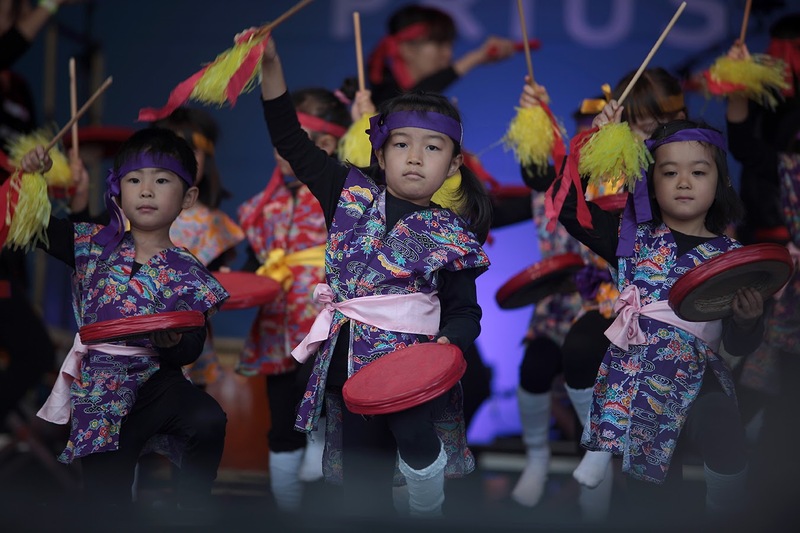 It doesn’t get any cuter than this – a true Japan Matsuri highlight. 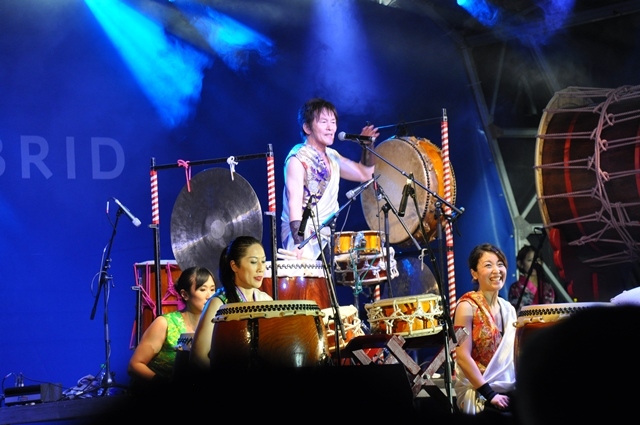 The Fairlady ZZZZZ are a Japanese Rock Band formed in London in 2008. Expect heavy, guitar driven sound in this performance of vintage British-flavoured Japanese Rock, which draws influence from Blues, Psychedelia, Progressive, Punk and Folk Music. 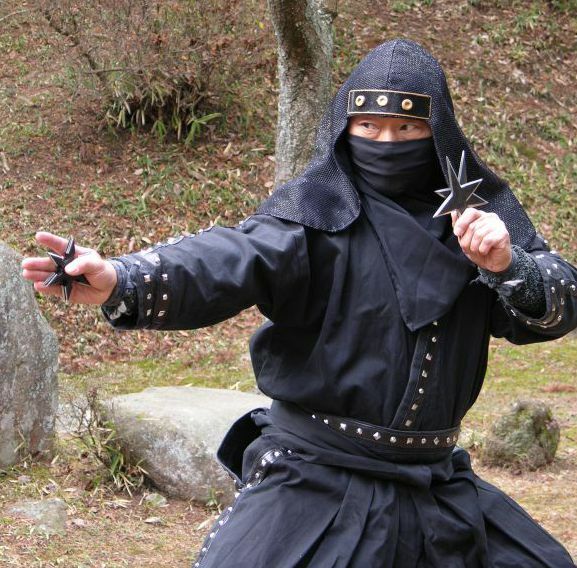 Ninjas are one of the most instantly recognisable cultural icons from Japan. Their techniques have taken on an almost mythical aspect over time, with people believing that they can walk on water or turn invisible. Whilst that may not be true, there is no doubt that the skills possessed by ninjas are exceptional. NHK WORLD-JAPAN presents this exciting ninja combat show by The Ashura, the special performance group of Iga-ryu Ninja, in which the techniques of the ninja will be expertly demonstrated. Not to be missed! Radio Exercises have been part of Japanese life for generations. Originally introduced in the 1920’s as a way of encouraging improved health, Radio Taiso is now broadcast not just on the radio, but also on television and online. The simple exercises can be done by people of all ages. Why not move your body, and take part in an exercise routine that has taken on a quintessentially Japanese character! 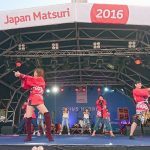 You are currently at Japan Matsuri, but how much do you actually know about Japan? Even if you think you’re an expert on Japan, why not test the extent of your knowledge? Everyone can take part by making the shape of a circle (Maru) if you think the statement is true or the shape of cross (Batsu) if you think it is false. Things will start easy, but soon the difficulty is going to rack up! 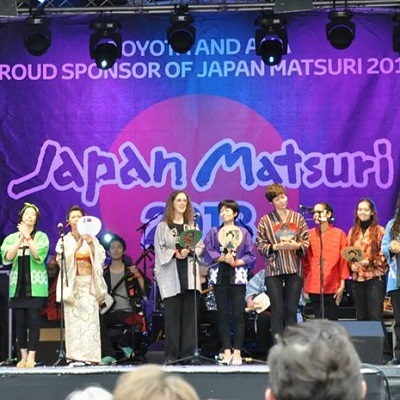 The London Okinawa Sanshinkai is a collection of people who are enthusiastic about Okinawan folk and classical music and traditional dance. Amongst the members are Okinawans, mainland Japanese, and people from several other nationalities. 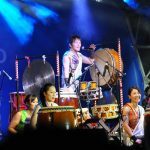 We play and teach Okinawan folk and classical music and traditional dance using the sanshin (a 3-stringed lute), taiko (stick drums), samba (like a castanet) and sometimes other instruments like the koto (Japanese zither) and fue (flute). JSD Crew is a kid’s street dance crew based in Acton Town. They practice every Sunday at Acton High school with Shala. Enjoy their energetic performance and feel their passion for dance! The “SUJAKU” collection by Kimono De Go aims to breathe new life in to the work of traditional kimono craftsmen by reinterpreting Japanese traditional wear as a dress. This year, Japanese fashion designer Kyoko Higa’s edgy kimono will also be on the catwalk. A marvellous showcase of Japanese fashion, in collaboration with dance team “Epika” awaits! 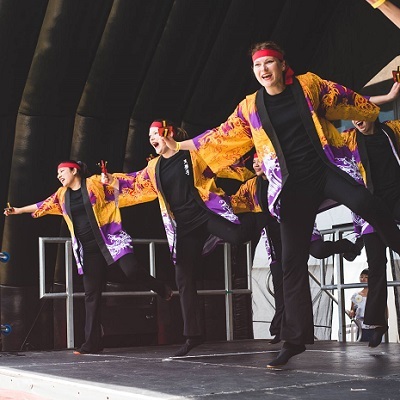 Nihon Buyo, or Japanese Dance, is a dance form refined and developed over four centuries. 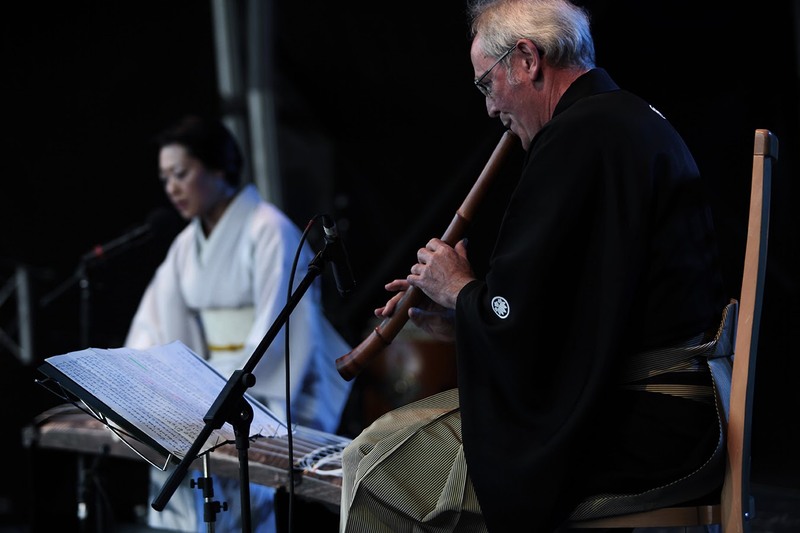 It contains influences from Kabuki theatre dance, Noh theatre, Japanese folk dance and a mixture of European and American cultural trends found in Japan today. 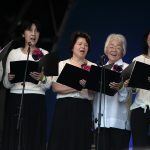 The group is led by Hiroko Tanaka, a Wakayagi-ryu dance teacher who has been dancing nearly 70 years. Noh theatre actor Reijiro Tsumura fuses the Noh aesthetic tradition with contemporary ballet and piano. The work “Eiji Sawamura” is based on the story of a man who didn’t come back from the battlefields, the great Japanese professional baseball player Eiji Sawamura.